What are the deals you offering? What and when will I use the 2 or 3 ad spaces? You will be able to participant in others Orange. Example: Orange EDU both Bedok and Tampines, ORG which will visit to HDB, TOP for only new HDB, COF for commercial, office and Factory and Recruit for recruitment's. 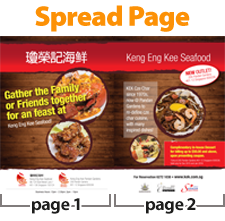 You will be able to create more awareness over different locations of Singapore. If you have opt-in for option 2 or 3, you can do a spread page. 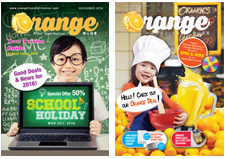 You can do a advertorial to describe your brand and more offers you can propose in Orange. More space creates more chances for end users to revisit to your ad space again multiple times. Even if you do not want to use your ad space first, you can keep it and choose the edition you like later or on a location you want to re-target or re-market to the same location for 2nd interval. Best of the best part? Premium pages will be price higher because they exposure more times compare to other pages as commonly end users will browse through these pages before inner pages. It helps to bring up the branding and have a more executive image. Premium pages are the important pages you might missed out or think it will be expensive. 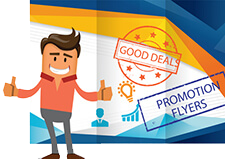 Actually, we can even offer the same rate as the rest, however, it will be subjective to the offers you can provide. 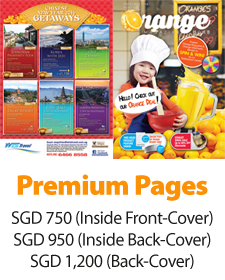 The Front page will also feature special offers in without additional charges. The goal is to increase the acceptance of Orange to benefit us as a whole. Therefore, we will be selective on those advertisers will spread pages, or able to do at least 3 ad spaces, as they are committed to Orange to produce the best offers they could.